Today is the 1st day of our 12 Days of Christmas sale! Our first item of the day is our Smudge/Cleansing Gift set! It wouldn’t be a sales event without a sale though! 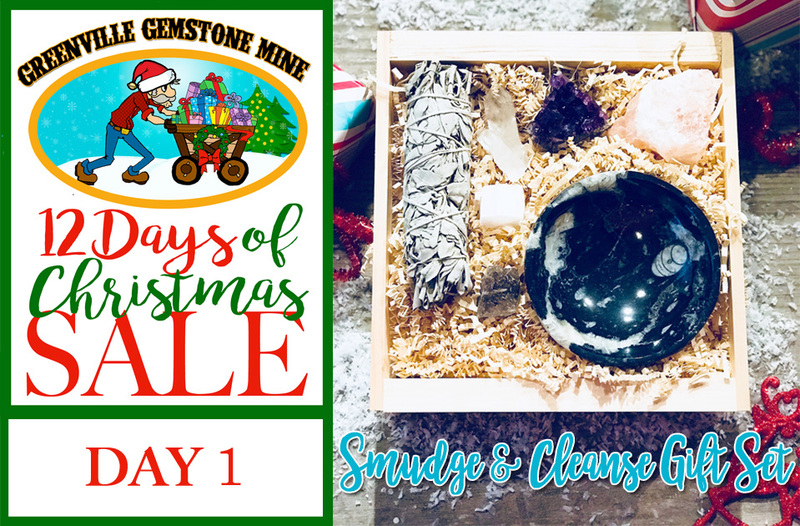 Normally this gift set would be valued at $40.00 Starting today all Smudge/Cleansing Gift Sets (online and in store) are 50% off! This is such a great unique gift that someone on your list will love. Quantities are limited so stop by today and get yours!